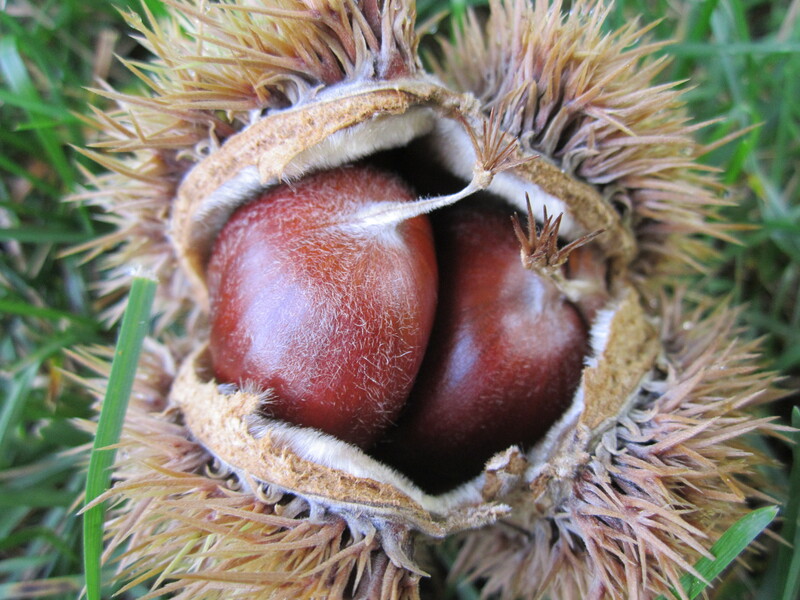 NOTE: Chestnuts are at their best when partially dried or ‘cured’ for 5-10 days before eating. This will increase their sugar content and overall flavor. Freshly picked nuts are more starchy and less flavorful, but still good. Preheat oven to 400 degrees. Place chestnuts on baking sheet making sure not to layer the nuts on top of one another. Using a sharp knife begin cutting X’s in one side of the chestnut shell. Place chestnuts into the oven for 25-30 minutes. Use a fork or knife to check the nuts; when done they should be soft but not mushy. Let chestnuts cool for a few minutes before eating. Peel shells and enjoy with your family and friends! 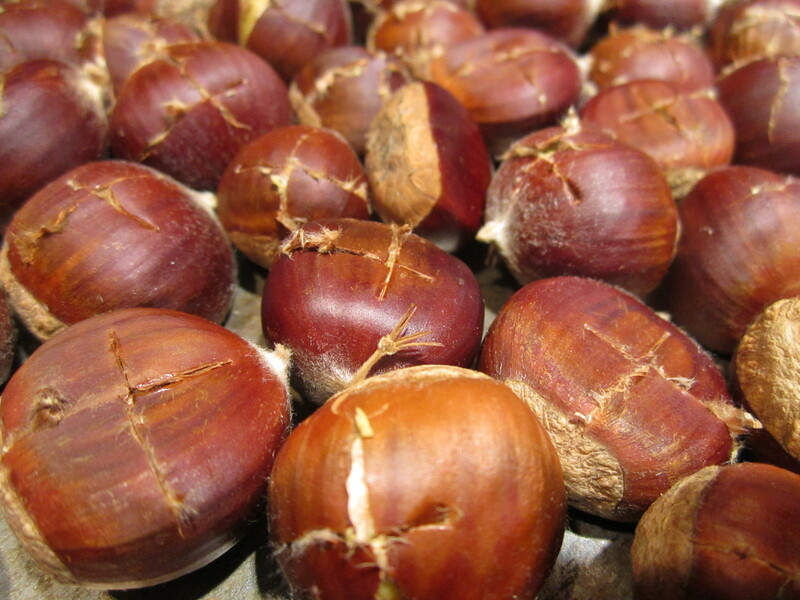 Roasted chestnuts come free of their shells relatively easy. Aside from improving the flavor, this is another benefit of roasting the nuts. Sometimes I roast large batches and remove the shells all at once and store the roasted nuts in the freezer. They can then be used in soups, stir-fries, or thawed and eaten as is. 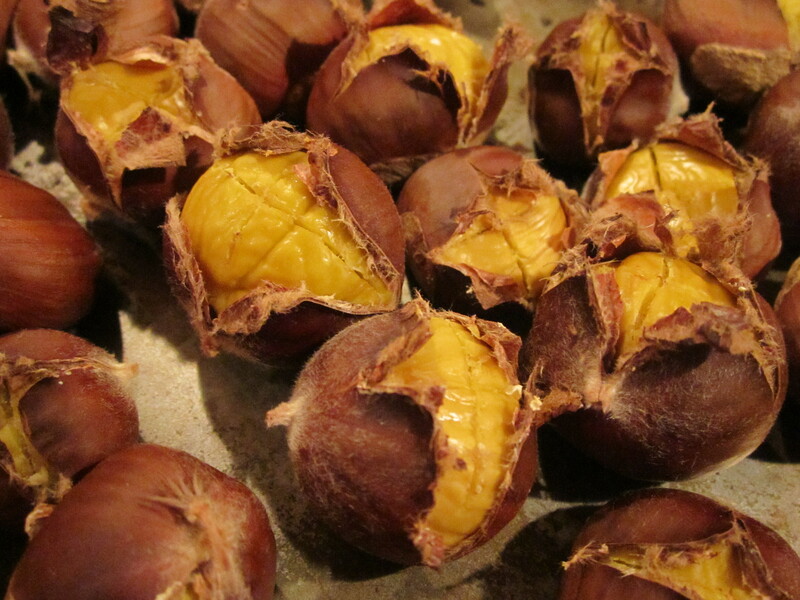 To learn more about curing and storing chestnuts check out this article by Lee Reich.